Astor Investment Management is pleased to announce that the Astor Macro Alternative Fund (GBLMX) celebrated its three-year anniversary on June 22, 2018. 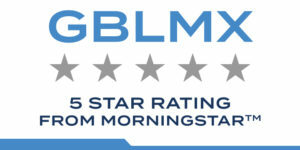 GBLMX received a 5-star Morningstar Rating® among 299 funds in the Multialternative category based on risk-adjusted performance for the 3-year period ending September 30, 2018. Within the Multialternative category, GBLMX also produced returns in the top 10% among 377 and 299 funds for the 1-year and 3-year time periods, respectively, as of September 30, 2018. 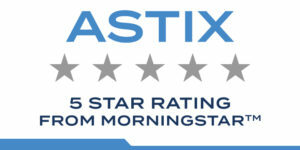 Astor’s Dynamic Allocation Fund (ASTIX) also received a 5-Star Morningstar Rating® among 246 and 185 funds in the Tactical Allocation category based on risk adjusted performance for the 3-year and 5-year periods, respectively, ending September 30, 2018. Within the Tactical Allocation category, ASTIX also produced returns in the top 15% among 296 and 246 funds for the 1-year and 3-year time periods, respectively, as of September 30, 2018. 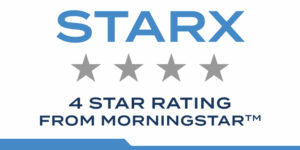 Astor’s Sector Allocation Fund (STARX) also received a 4-Star Morningstar Rating® among 246 and 185 funds in the Tactical Allocation category based on risk adjusted performance for the 3-year and 5-year periods, respectively, ending September 30, 2018. Within the Tactical Allocation category, ASTIX also produced returns in the top 15% among 296 and 246 funds for the, 1-year and 3-year time periods, respectively, as of September 30, 2018. The Morningstar Rating™ for funds, or “star rating”, is calculated for managed products (including mutual funds, variable annuity and variable life subaccounts, exchange-traded funds, closed-end funds, and separate accounts) with at least a three-year history. Exchange-traded funds and open-ended mutual funds are considered a single population for comparative purposes. It is calculated based on a Morningstar Risk-Adjusted Return measure that accounts for variation in a managed product’s monthly excess performance, placing more emphasis on downward variations and rewarding consistent performance. The Morningstar Rating does not include any adjustment for sales loads. The top 10% of products in each product category receive 5 stars, the next 22.5% receive 4 stars, the next 35% receive 3 stars, the next 22.5% receive 2 stars, and the bottom 10% receive 1 star. The Overall Morningstar Rating for a managed product is derived from a weighted average of the performance figures associated with its three-, five-, and 10-year (if applicable) Morningstar Rating metrics. All information contained herein is for informational purposes only. This is not a solicitation to offer investment advice or services in any state where to do so would be unlawful. There is no assurance the Fund will produce profitable returns or have similar results as shown. You may lose money. Past results are no guarantee of future results and no representation is made that a client will or is likely to achieve results that are similar to those shown. Rankings are only one form of fund performance and should not be used solely when making an investment decision. An investor should consider the Astor funds’ investment objectives, risks, charges, and expenses carefully before investing. This and other information about the Astor funds are contained in the funds’ prospectus, which can be obtained by calling (877) 738-0333. Please read the prospectus carefully before investing. The funds are distributed by Northern Lights Distributors, LLC a FINRA/SIPC member. Astor Investment Management is not affiliated with Northern Lights Distributors, LLC.